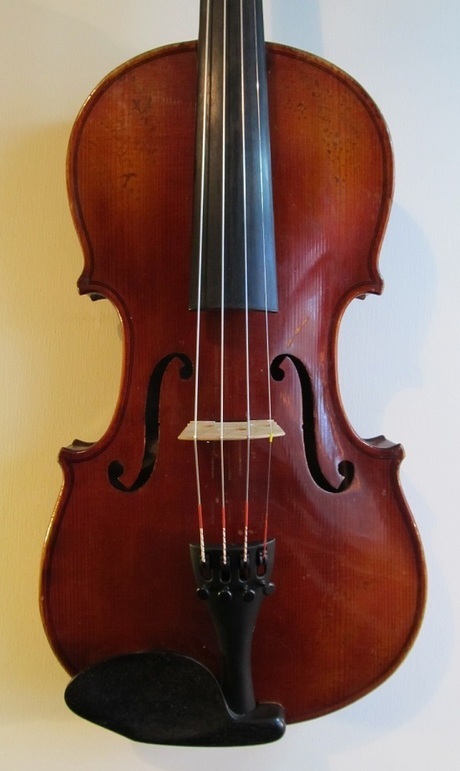 Early 20th Century German violin, unlabelled. 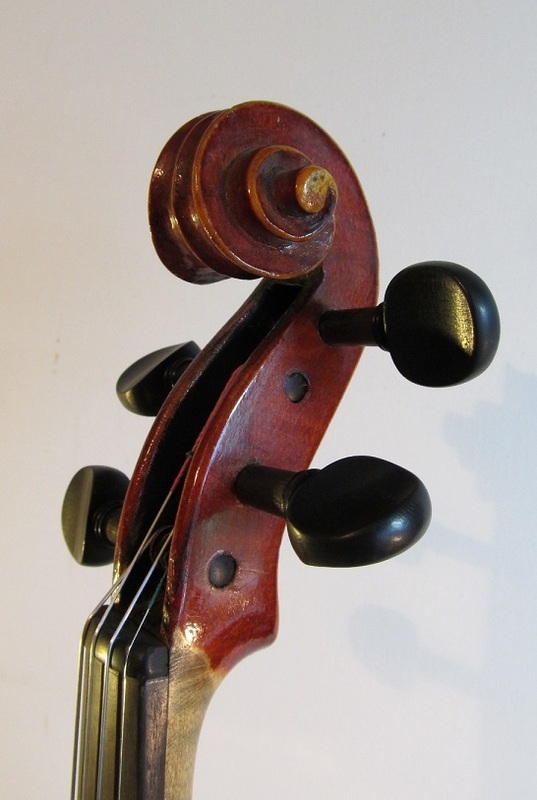 Beautiful instrument, very well-made. The top plate has a narrow-grain, widening towards the edges, and the back has a strong, even flame. It has a rich, red varnish over a golden ground which makes for a very attractive. glowing appearance. The sound is deliciously warm, clear and even. A real pleasure to play, and a bargain at this price. Condition: Interesting and attractive varnish wear, some of which might have been created when it was first made. 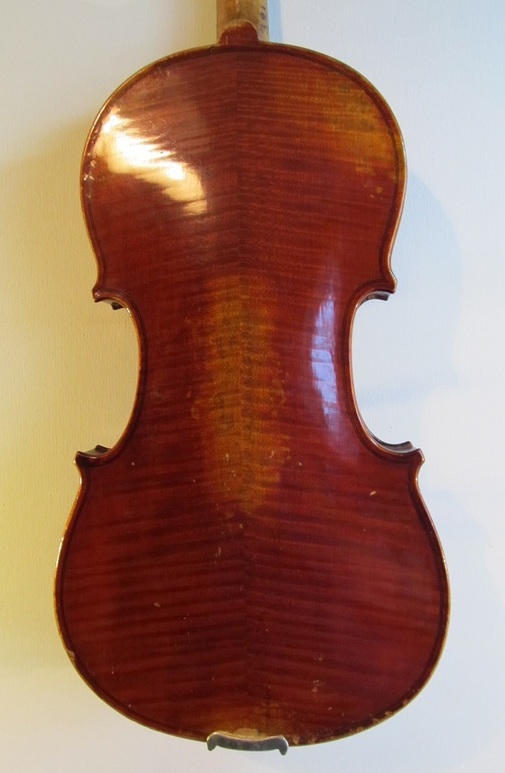 A few dings and scratches, to be expected on an instrument of this age, but no cracks, repairs or other damage. Set-up: New ebony pegs, new soundpost and Aubert bridge, Wittner tailpiece with integrated fine tuners and Tonica strings.